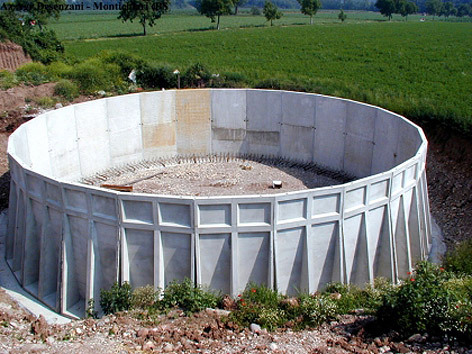 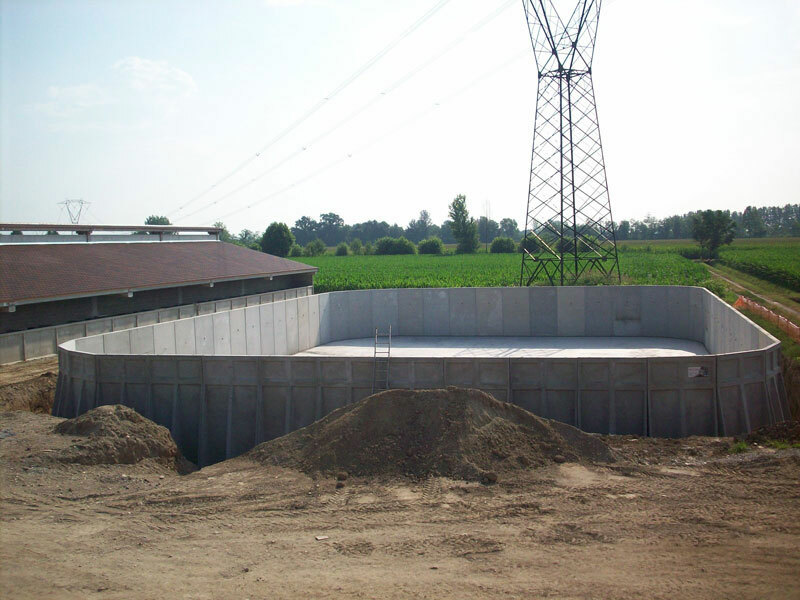 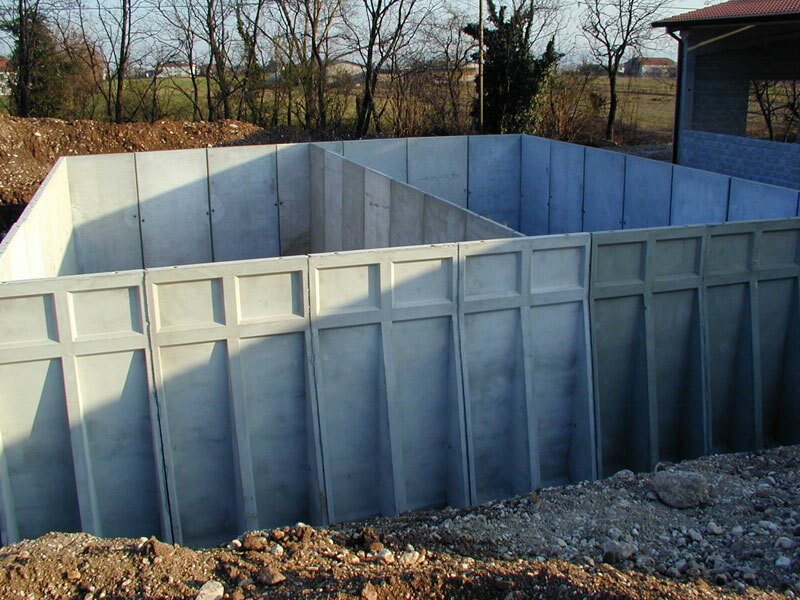 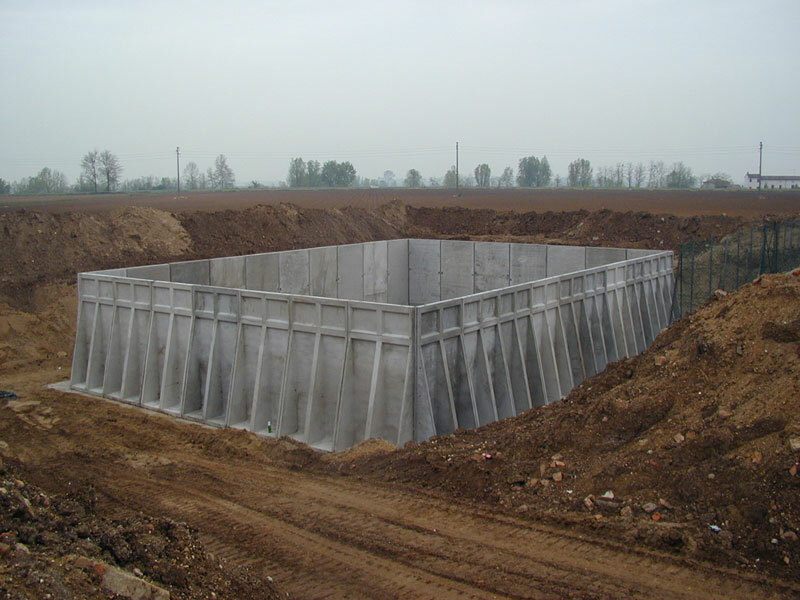 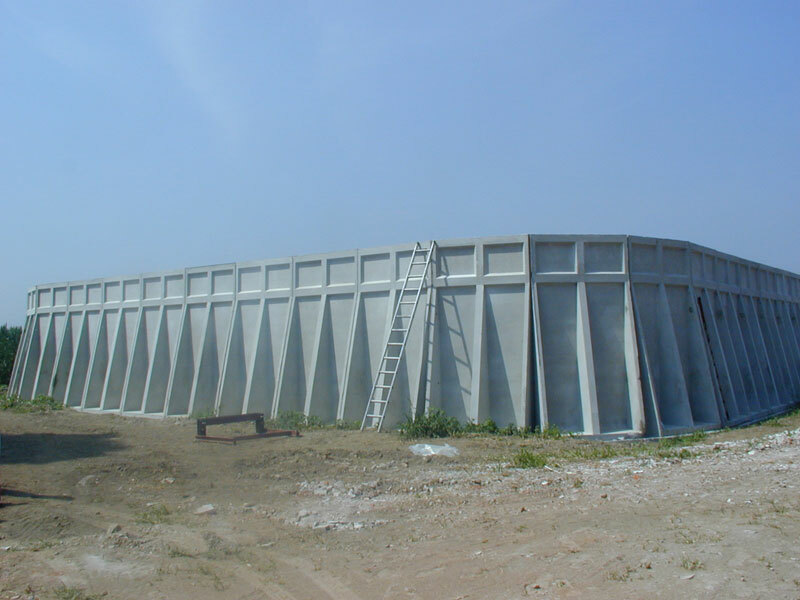 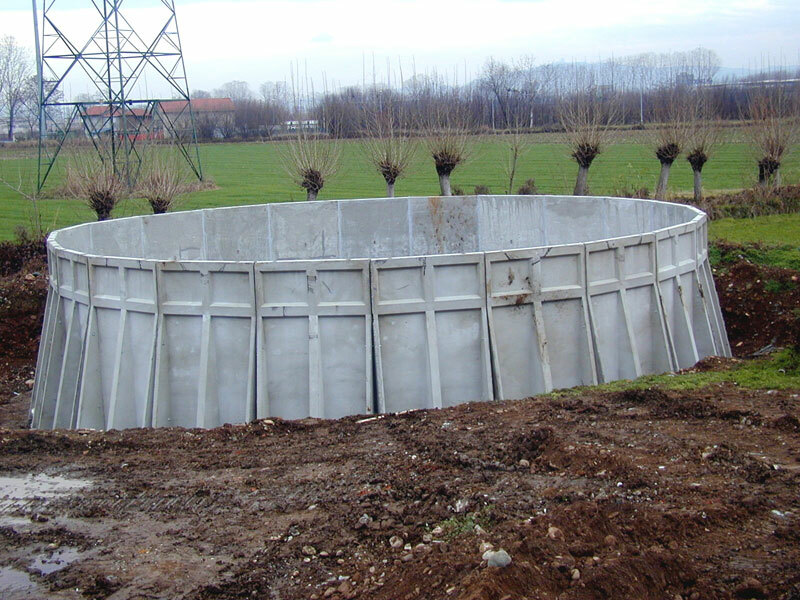 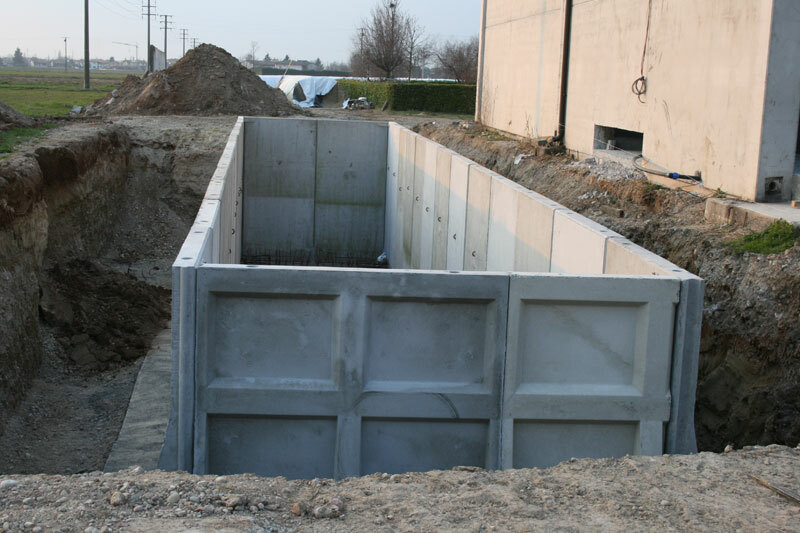 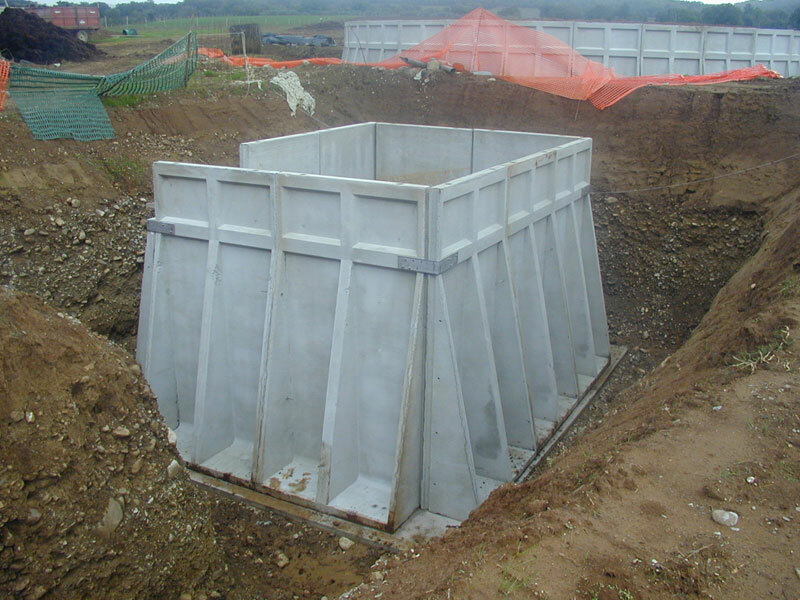 After years of research on slurry storage we have developed a series of prefabricated concrete tanks with adjustable height from 320 cm up to 500 cm. 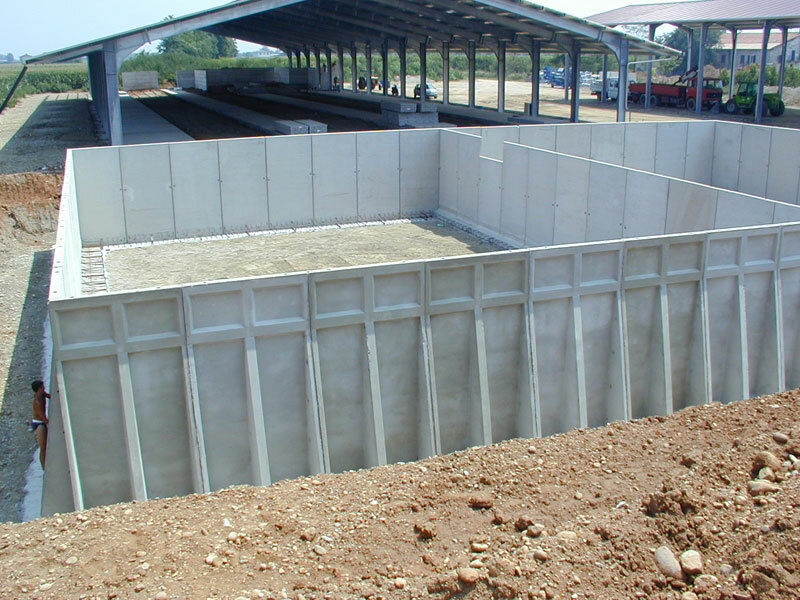 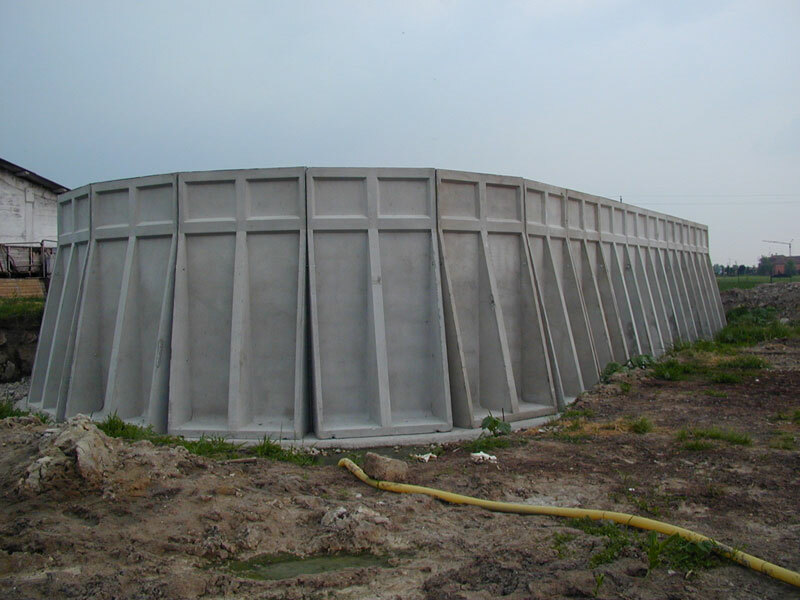 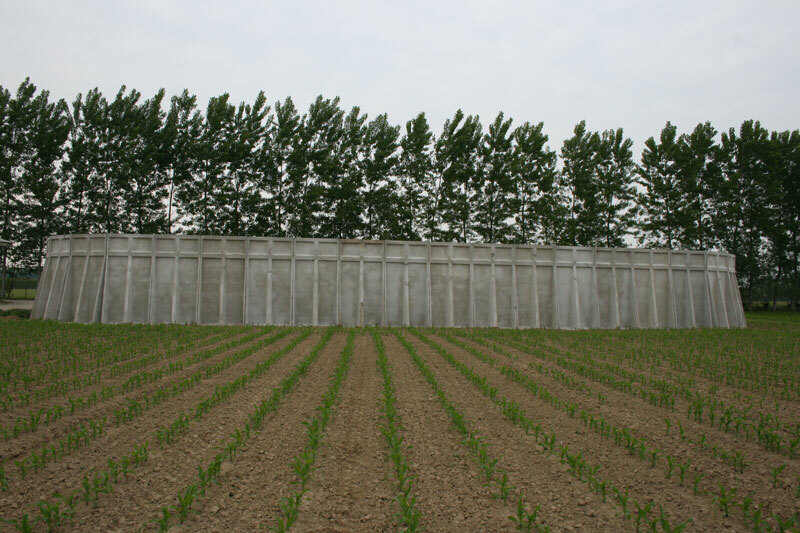 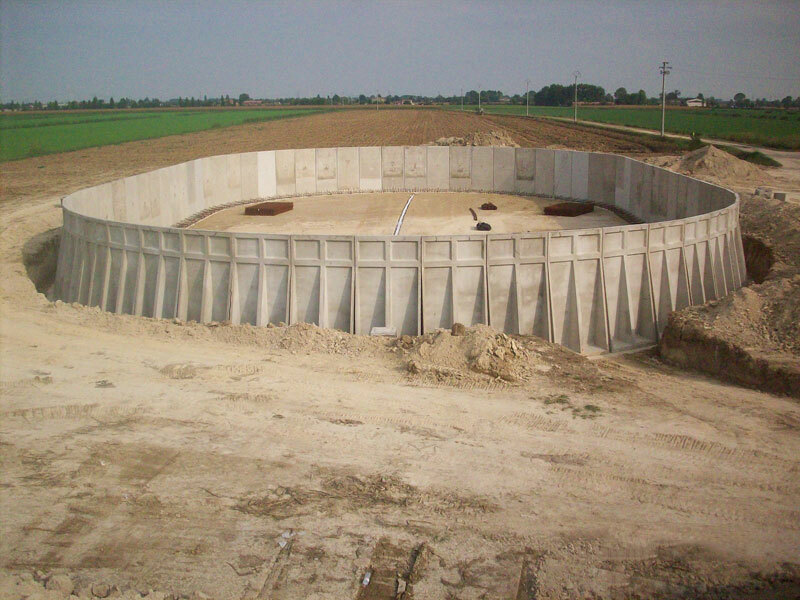 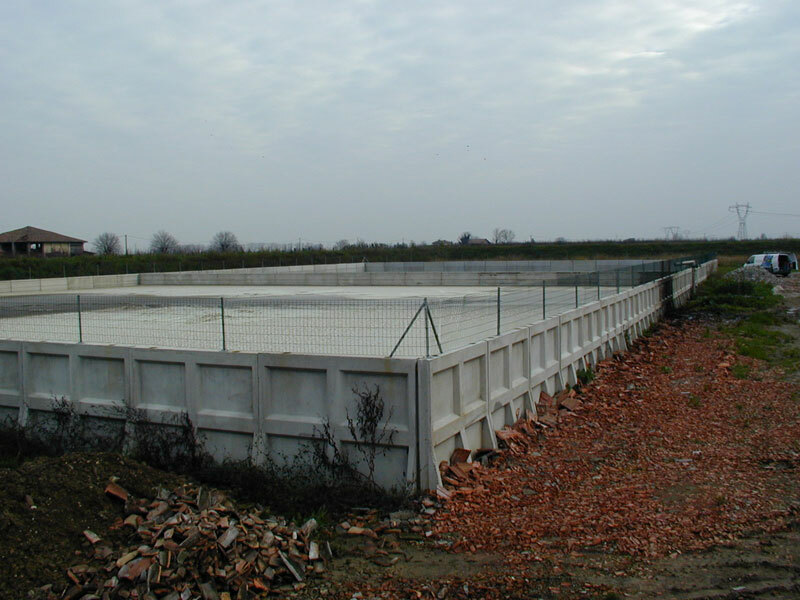 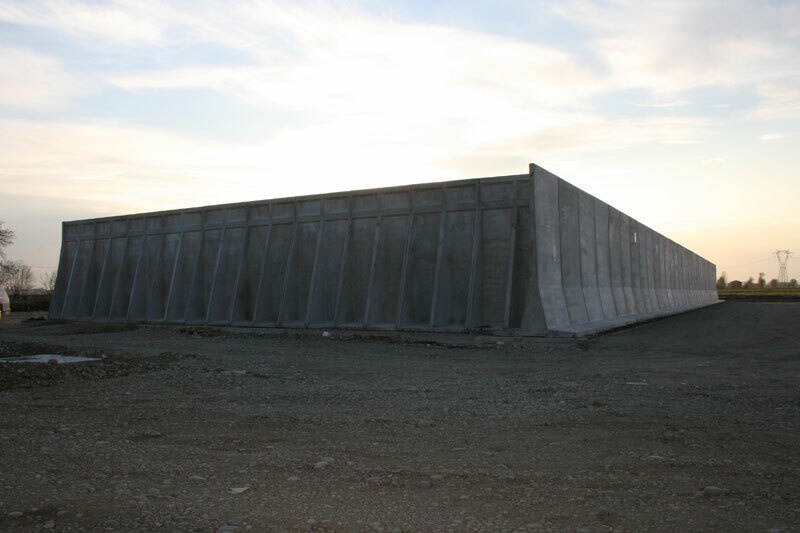 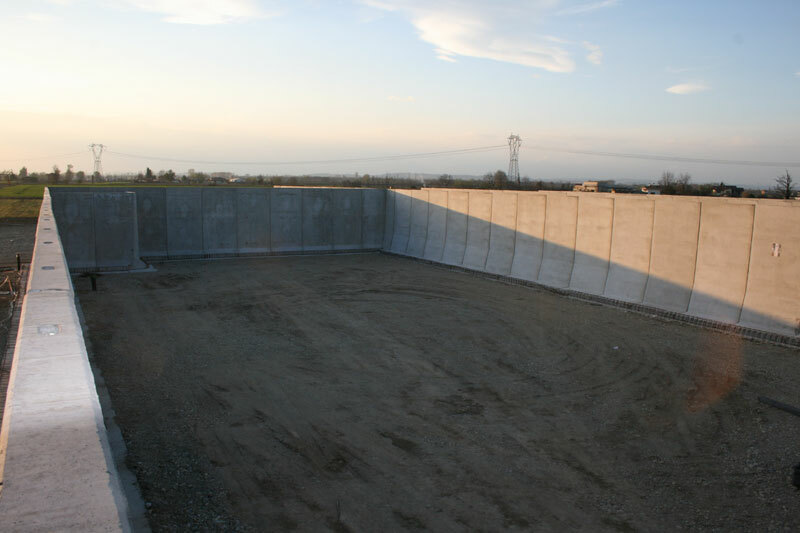 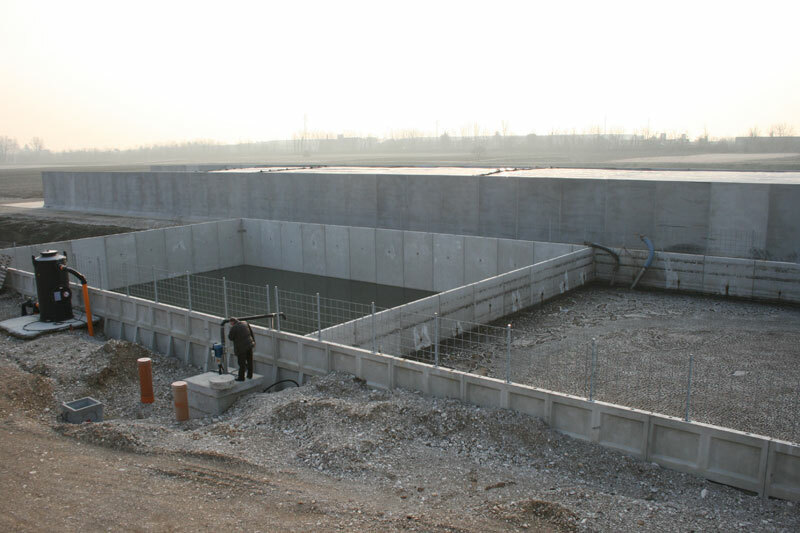 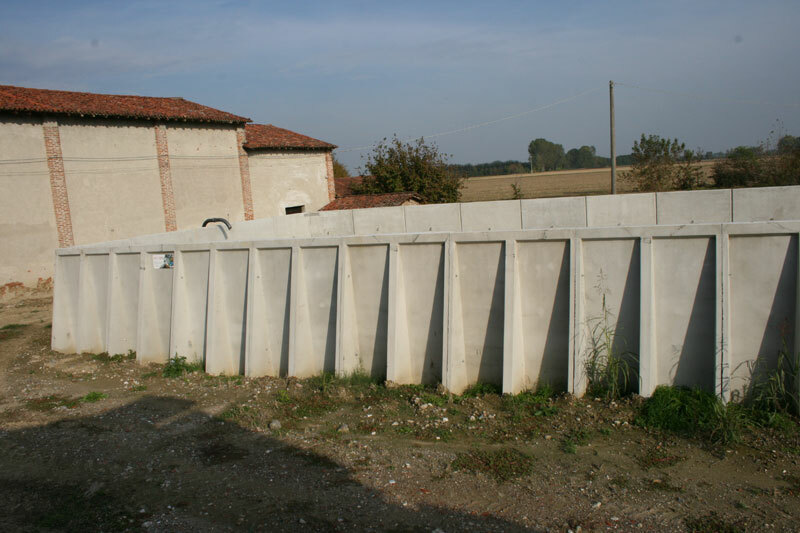 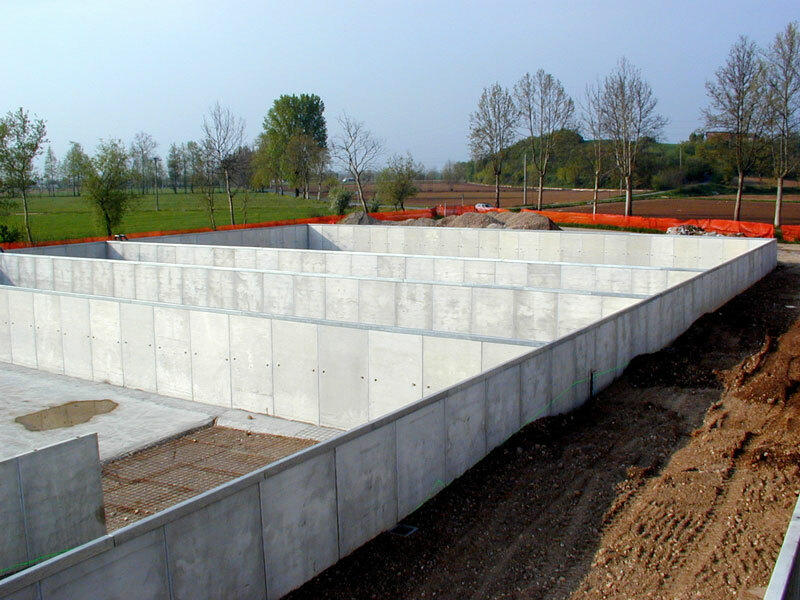 These are livestock panels that, juxtaposed to one another, allow the creation of prefabricated concrete tanks of various sizes with one or more sectors. 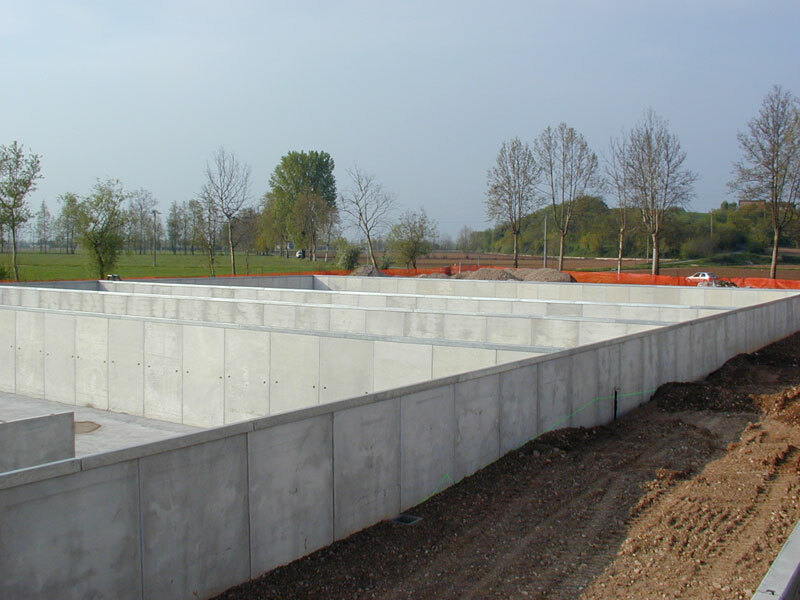 Each element is equipped with jutting rods to be integrated during the casting of the flooring for the proper embedding of the prefabricated structure. 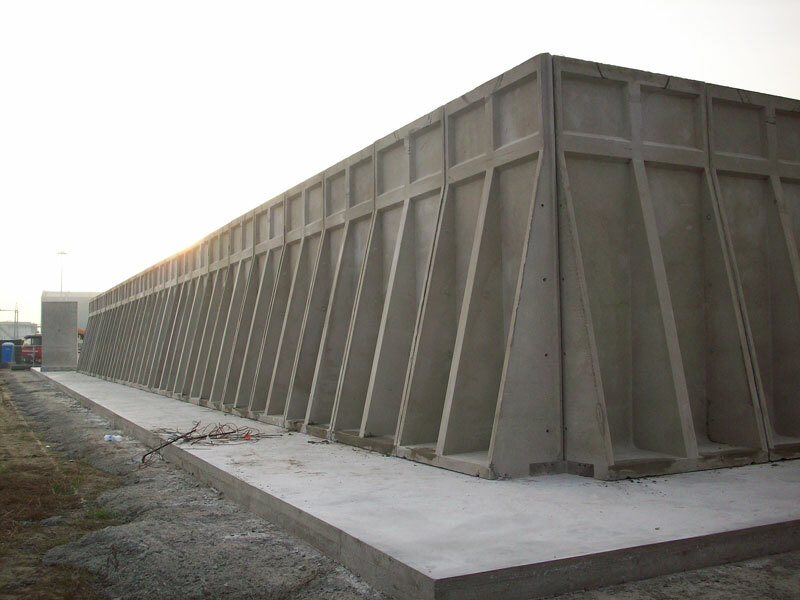 It is necessary to create support strips which are positioned in a perfectly flat position on the concrete panels. 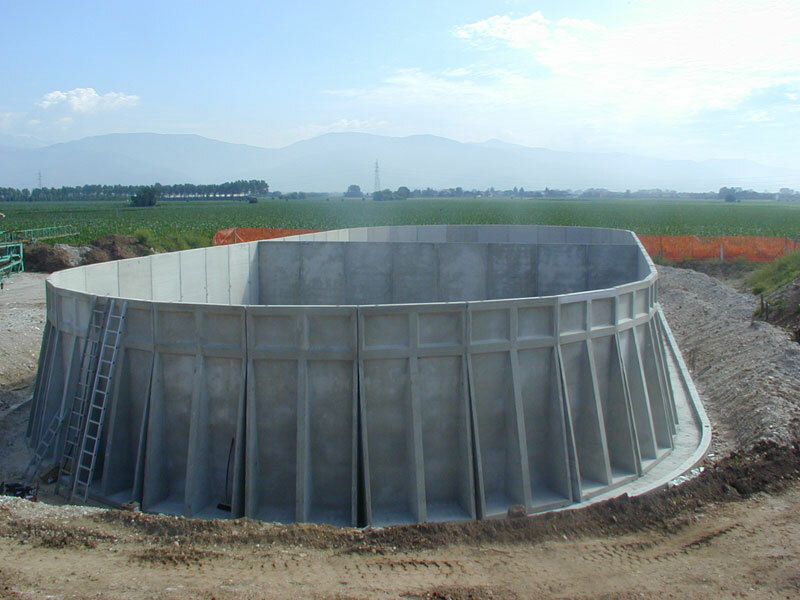 Subsequently the casting of the inner flooring is carried out followed by the sealing of the vertical joints and on perimeter of the tank to ensure a perfect join. 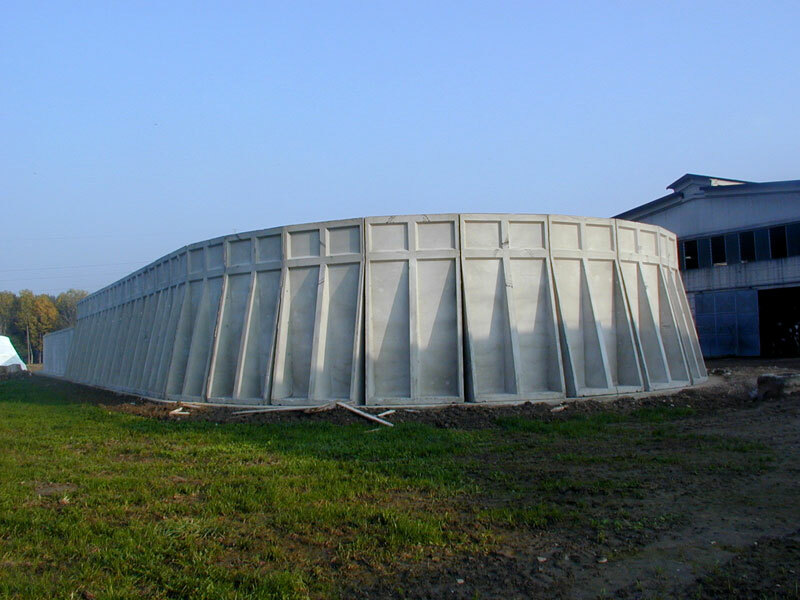 These panels allow the possibility of producing prefabricated concrete tanks of any shape and size, rapidly, and with lower costs than with on site production.